What Types of Guardianships are Available For Children In Nevada? Most of the time, children are taken care of by their parents. However, there are times when their parents may not be able to do so – they may be incarcerated, hospitalized, or in another situation where it would not be in their children’s best interests to remain with them. When this happens, minor children require guardianship. The laws surrounding becoming a guardian in Nevada are complex, but the criteria are not impossible to meet, especially if you speak to an experienced guardianship attorney to help you get through the process. There are three types of long-term guardianship, either for a child, or for a disabled or incapacitated adult – one can be a guardian of the person, a guardian of the estate, or both. It is also possible to arrange a temporary guardianship, which is somewhat looser in nature, but for the long-term the two categories will apply. As one might expect, a guardian of the person is granted decision-making authority over decisions involving personal care and medical issues, as well as social issues like family visits, while a guardian of the estate has authority over finances. It is not an easy process to be named a guardian, especially of a minor child. Applicants must be over 18, and while the court will often give preference to a relative, it will generally not approve the application of anyone who is a habitual substance user (that is, an alcoholic or a drug addict), has committed a felony, or has committed any offense of abuse, exploitation, or abandonment. In order to be awarded guardianship of a minor child, you must petition the court in the proper county. A hearing will be held to determine whether or not to grant the guardianship. The court does not take such petitions lightly, so the hearing or hearings may take months – expert testimony may even be required in some cases. If a quicker solution is required, it may be a good idea to file for a temporary guardianship for the interim period and then proceed with seeking a longer-term appointment. 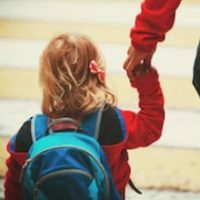 If you are awarded guardianship of either the person, the estate or both, it is critical to be aware of the limits of your authority, especially as the guardian for a minor. Court approval is required for many actions, especially those financial in nature. If you are only named the guardian of the estate, you must be mindful not to make decisions which would better be fitted for a guardian of the person and vice-versa. Failure to preserve that barrier might lead to issues, up to and including criminal charges if the offense is serious enough. Most people become guardians, especially for minors, because they want to help improve that minor child’s quality of life. It is a laudable goal, but it is important to keep in mind that there are strict regulations on how one can do it. If you have questions about guardianship for a minor, contacting the Kainen Law Group can help. Our attorneys have handled many of these types of cases, and we can sit down with you to try and figure out the best trajectory for yours. Call our Nevada guardianship attorneys today to schedule an appointment.